Choose a cause from the list below and click "Preview" to see a preview of their site in real time. Then, enter your phone number or scan the QR code to visit their mobile site on your device. 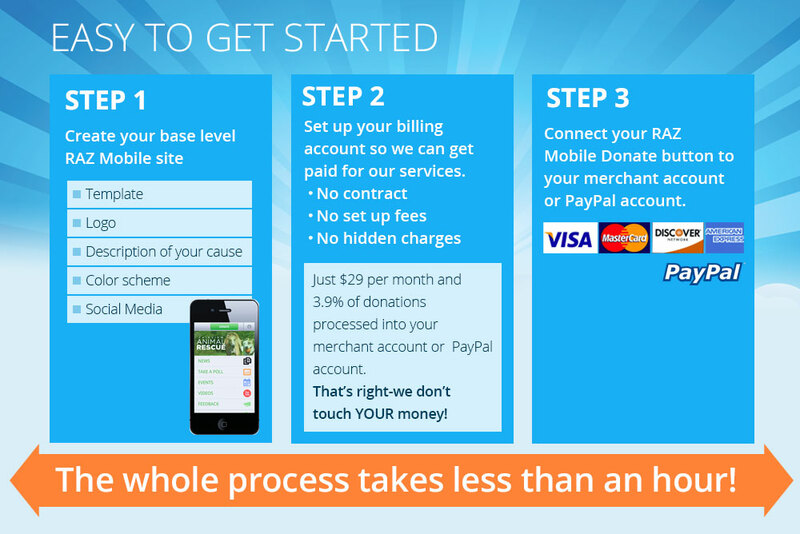 Click Here to email a cause you love about using RĀZ Mobile. SAVING LIVES WHEN SECONDS COUNT. We CARE about your LIFE in Jesus Christ! Enter your mobile phone number above and click "send" to see the site on your device. Simply scan this QR code. Please choose a cause first.